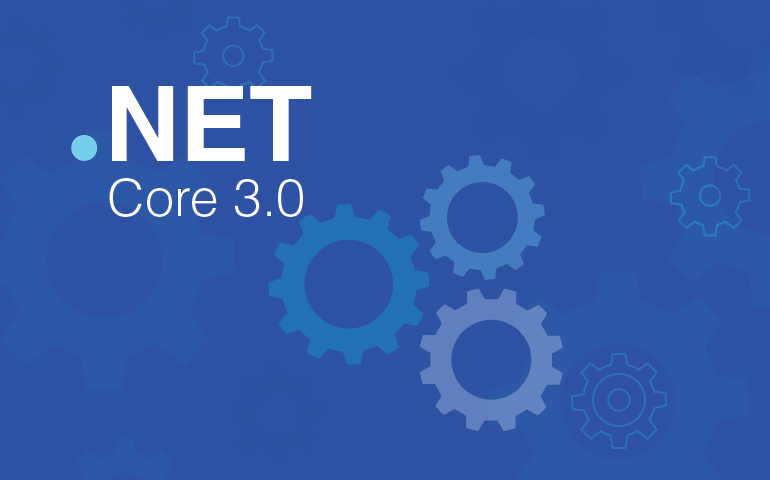 Share the post "Everything you should know about the forthcoming .NET Core 3"
During the Microsoft Build Developer Conference event 2018, the roadmap of .NET Core 3.0 was announced. This upgrade is expected to be arriving in 2019 and will be supporting Windows desktop applications, especially Windows Forms, UWP XAML, and Windows Presentation Framework (WPF). Moreover, new as well as existing Windows desktop applications can run on .NET Core 3. 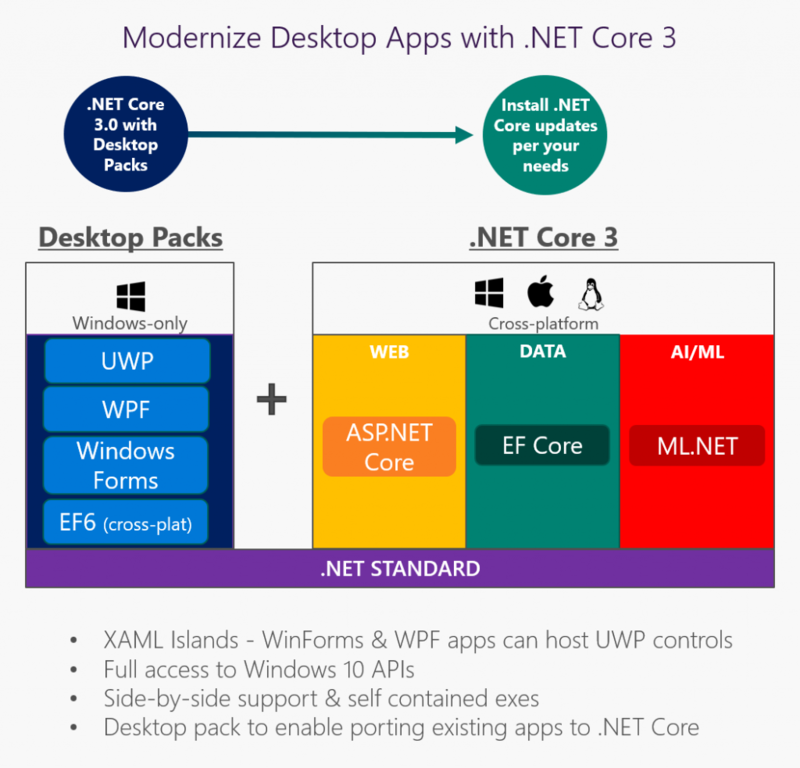 Basically, .NET Core 3 is not just about Windows as well as desktop applications. It includes the web and cloud features too; however, the Windows support is an additional advantage for users. Another important point to note is .NET Core 2.0 was compatible with F# C#, and VB, so you will be able to build desktop applications with any of these three languages in .NET Core 3 also. Moreover, Microsoft Xamarin has technology based on the earlier Mono implementation of .NET, targeting iOS, Android, Mac, and Linux. The release of.NET Framework 4.7.2 happened recently; however, Microsoft had announced their plans for the release of an upgrade – .NET Framework 4.8. This version is going to come with various improvements that the .NET community can leverage. Complete access to the Windows 10 (also known as “WinRT”) API. Offers capability of hosting UWP XAML controls in WPF and Windows Forms applications. Provides ability to host UWP browser and media controls, allowing latest browser and media standards and content. Core 3 need to follow the below steps. Step – 1: Target your present desktop applications to .NET Core 3 and recompile. Step -2: Update all the project files to target .NET Core 3. Step -3: Retarget and recompile dependencies to .NET Core 3 to use additional benefits or leave it. It is said that the performance of .NET Core is better than the .NET Framework, so one must definitely build .NET Core 3 desktop application to support their business. Apart from that, the more important thing is that the release of .NET Core 3 will decrease the hassle in .NET development to migration with fewer legacy constraints. If you want to modernize desktop applications and know about our .NET Core deployment model, talk to our .NET experts.